Welcome to Day 76 of Palmer Watch. This week, Palmer Luckey was still nowhere to be seen as Oculus VR, the company he founded, reached a significant milestone: the release of the Oculus Touch controllers. 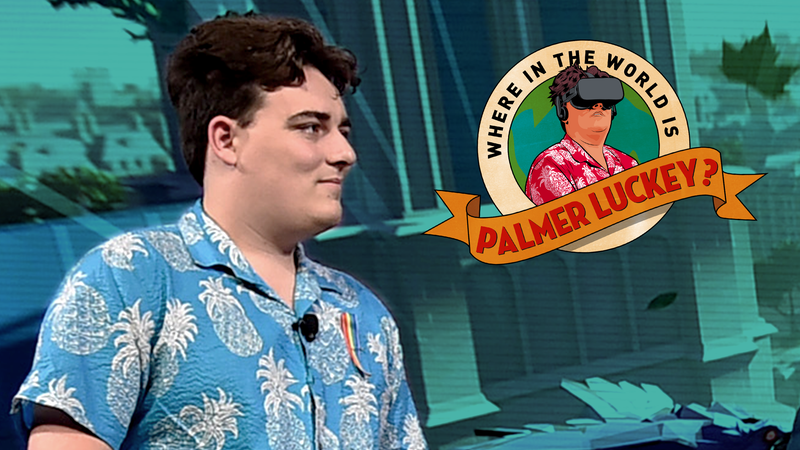 Luckey, as you’d know by now as a loyal Palmer Watch reader, sold his breakthrough virtual reality company to Facebook for $2 billion. Earlier this year, The Daily Beast revealed that Luckey was helping fund Nimble America, a pro-Trump, anti-Clinton political advocacy group that was on a quest to prove “meme magic is real.” Luckey released this statement on September 23 but he hasn’t been heard from since. Facebook won’t even tell us if he still works at the company. It sure is odd that Luckey wouldn’t say anything on the release of the much-hyped Touch controllers, a pivotal moment in the Oculus story so far. The controllers are really cool, too. When I tried them at the Oculus Connect conference in San Jose, I was blown away by how real they made the virtual reality experience feel. There was almost no learning curve. It’s something you would think Luckey would be proud of, and as someone who once was one of virtual reality’s most prominent evangelists, might even send a tweet about.